Yes, there are a number of ways that you can get a list of items purchased for a project or job. There is a Job Master File and a Project Master File under the Master Files menu section, so you can put your project/job numbers in there, then select the applicable number in the Project or Job Fields on the Purchase Order Line Item Details screen. Again, that’s just one report that can be run by project or job but there are many others. On a separate but related note, the Project and Job Fields are user-definable (i.e. 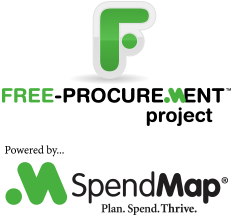 you can rename the field titles), and there are also other user-definable “account coding” or “tracking” fields available in SpendMap, some of which have even more capabilities than the Project and Job Fields. So if you only need to track purchases by Project or Job but nothing else, you might want to use the (user-definable) Cost Center field, rather than the Project or Job fields, since there is more reporting available for the Cost Center Field than any of the other fields. So consider renaming “Cost Center” to “Job” and then you can use the Job Field for something else, or you can just rename it to “N/A” or “Not Used” or something if you don’t need it (you can’t have two fields with the same title).